Well, I went ahead and put my tree up on Thanksgiving day since my husband was home, even though I’m not sure I’m quite ready for all the associated Christmas clutter. To be honest, I just haven’t been all that into the holiday spirit the last few years. But I’m trying. Usually I wait until a week or two before to decorate, and it’s a lot of hassle to do all that work just for a couple weeks. Although, to be honest, if I put decorations up so late, then I’m not ready to take them down until late January. But by then, I’m sick and tired of all things holiday. So I figure if I don’t wait until two weeks before Christmas, then maybe I will be ready to take everything down at the start of the new year. And maybe, just maybe, I will enjoy the season. Don’t get me wrong. I love what Christmas really means. I love that we can celebrate Emmanuel, “God-with-us.” I love even more that God is actually with us. I love that we can take this opportunity to be intentional about doing things for others and finding ways to show people that they matter. I guess it should be no surprise that my favorite Christmas song is Silent Night. 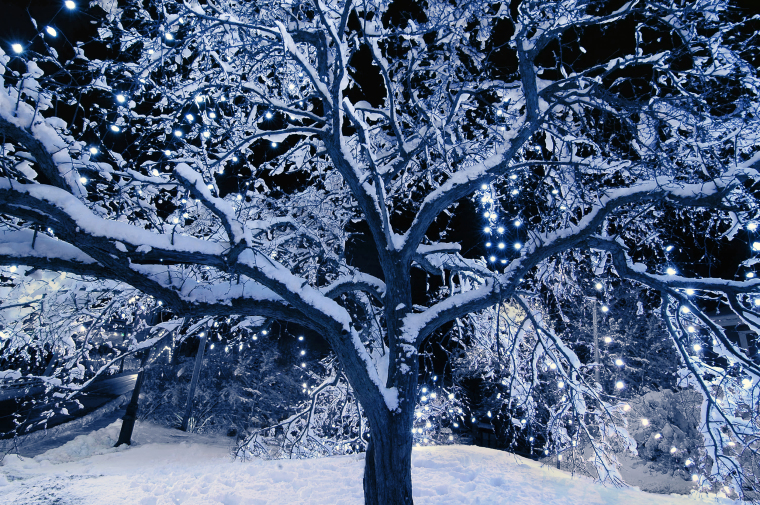 Because silence is what I long for, and holidays are nothing if not noisy (visually, emotionally, and literally). Am I the only one who feels overwhelmed? Who dreads seeing the first trees in the stores? 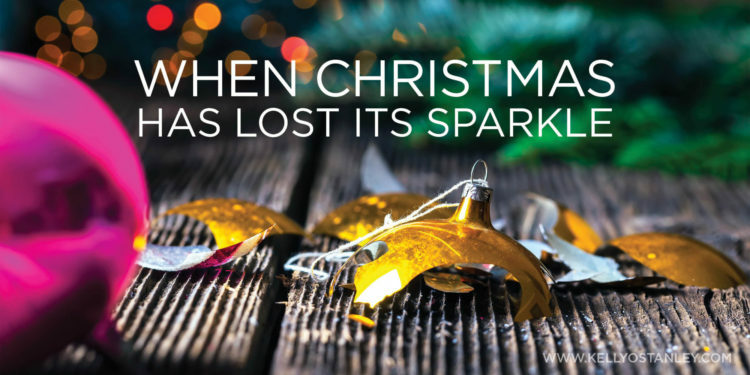 Who feels claustrophobic from the holiday clutter on every surface of your house? Do you have kids in college who, as much as you love to see them, you’d love even more if they didn’t bring so much clutter with them? Do you have a tender spot in your heart, knowing that your mom/dad/sister/brother/spouse/child/grandparent/friend is not here with you and knowing it will be a battle not to let the sadness overwhelm you? Do holidays remind you of past (or current) family squabbles? Do you worry about how to make your money stretch? Or are you fine with it all but still feel stressed trying to coordinate all the cooking for dinner, wrapping presents, attending various holiday functions, and so on? I’m sitting here laughing at myself right now. I’m writing this as though I have the answer… and if we just keep reading, we’ll find out how to handle it all. I’m just as excited as you are. What will I say? And yet, deep down, below the part of me that feels rather defensive and justified in my frustration, who wants to kick and complain, who likes to whine and be a martyr, I think I know the answer. It’s always the answer: Draw near to God. I don’t mean this to be cute. I won’t pretend it’s simple or easy and instantly fixes all. Also, I don’t want to saddle you with additional responsibilities. Additional tasks to transform your spiritual life in five steps… five steps you don’t have time to do. Five more unchecked lines on your to-do list, the one that’s longer than Santa’s naughty list. But let’s try something together, something simple. And natural. So natural it doesn’t even require conscious thought, normally. After all, part of what makes Christmas so miraculous is that Jesus came to earth to be with us. To lead us, teach us, and pay what we were unable to pay ourselves. So it makes sense that the best way to celebrate this miracle is to be aware of it. To give thanks for it. To breathe in the presence of God until it calms our soul, stills our scattered minds. Every day, whether it’s at the same time every morning or at some random moment during your overly-busy schedule, stop. And breathe. Eyes closed. Deep, soothing breaths. Set your mind on Him. Picture Jesus, and breathe Him in. His presence gives life. He brings renewal. He restores. He gives hope. And He provides rest for the weary. I don’t know about you, but boy, do I need every single one of those things. And I believe this or I wouldn’t say it: if we stop, if we allow ourselves to just breathe, if we fix our minds on Him for even a moment, we will see Him. We will find Him. 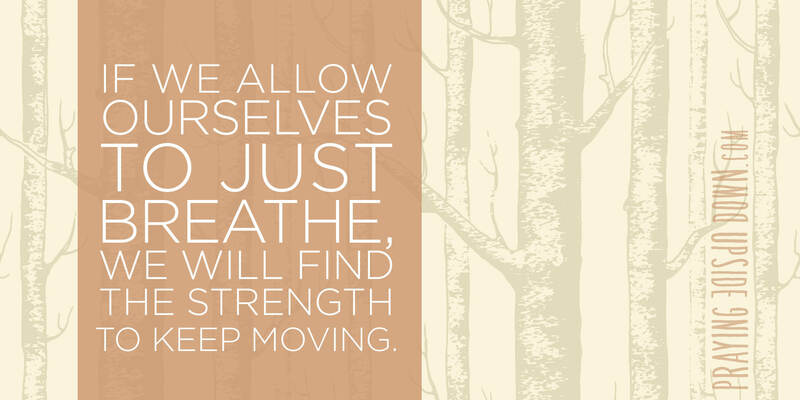 And we will find the strength to keep moving. If we do it enough, we’ll realize the holidays are a reason to celebrate. We’ll notice oh-so-much good in the midst of the busyness. And our souls will breathe easy. Because He is here. He really is. And I don’t want to waste another moment without Him. 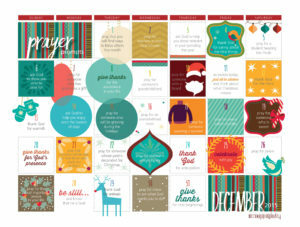 New prayer prompt calendar for the month of December is ready. Click to download (free to blog subscribers). If you have a book and live in the area, email me through my “Get In Touch” page and we’ll arrange a time to meet so I can sign it. Have Amazon or Barnes & Noble deliver the book to me. Then I’ll sign and mail it to you. Shipping (USPS flat rate envelope) is $5.75, and I can send you a payment request through PayPal. Or, if I have books on hand, you can pay me through PayPal and I’ll sign them and mail to you. Cost of book is $15 and I will throw in shipping. Thank you to all who responded to my recent survey. If you have a few moments to spare and you haven’t completed this survey, click here and let me know what you think about my site. It only takes a minute, I promise. And the responses so far have been very helpful.